On Wednesday, 21 November, Guyra Paraguay was Ten Years Old. During the year they have held various events to celebrate their ten years of conservation achievement and this photograph shows the three directors of Guyra Paraguay over the years. 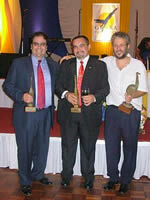 On the left is Alberto Madroño, in the centre Alberto Yanosky (current Director) and on the right Francis Fragano. 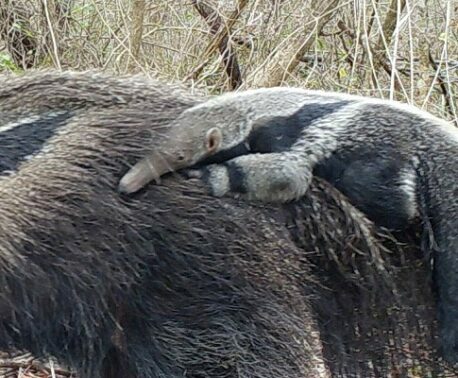 About the photo Alberto Yanosky commented that everyone knows that the the new Lodge on the Pantanal reserve, funded by WLT supporters, is called The Three Giants because of the three endangered 'giants' found in the reserve area: Giant Otter, Giant Anteater and Giant Armadillo, but at the party the three Directors were also given the name The Three Giants! 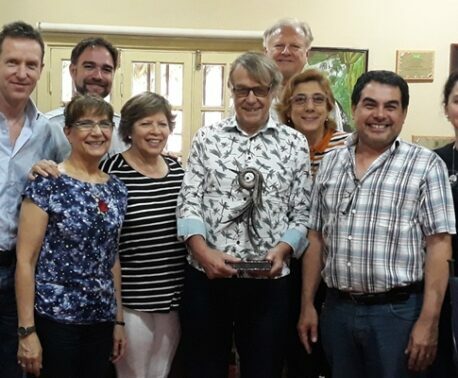 Guyra Paraguay is a wonderful partner organisation and everyone at WLT sends their very best wishes for the next Ten Years.